 Credit for the discovery goes to 9to5Mac and his almost infallible tipper Guilherme Rambo, who has achieved finalized press photography of the new iPhones, along with confirming a new color. Interestingly, the image itself is perhaps the least interesting part of the leak. 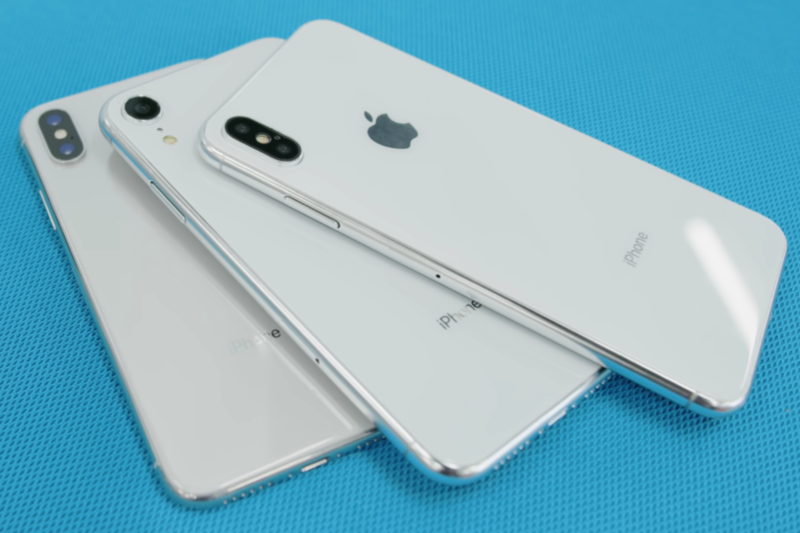 It shows the second-generation 5.8-inch iPhone X and new supersized 6.5-inch model (for which we already have all specifications ) together, as well as the gold-finished Apple previously tested with the original iPhone X but never released. Both models also have a notch, although the strategically placed wallpaper obscures this from view. But the true fascination is Apple's choice of name. "We believe the new 5.8-inch and 6.5-inch iPhones will both be called iPhone XS," says Rambo. This would be consistent with Apple's unified name for the 10.5-inch and 12.9-inch iPad Pro, as well as the 13-inch and 15-inch MacBook Pro. And yet, when it comes to iPhones, it just seems to be a problem. By far the most successful and widespread product from Apple, the iPhone needs easy identification between sizes. It also creates a situation in which the successor of the phone will be the iPhone XI, XIS, XII, XIIS, etc., which, to say the least, is tortuous. Also in the air is the naming of the exciting iPhone 9 (I'm just saying & # 39; iPhone & # 39; advance), which should dominate the sales interest due to its aggressively low pricing . This despite the recent revelations that the model has some potentially uncompromising compromises and the launch will be delayed . And yet, when it comes to iPhones, it just seems to be a problem. By far the most successful and widespread product from Apple, the iPhone needs easy identification between sizes. It also creates a situation in which the successor of the phone will be the iPhone XI, XIS, XII, XIIS and so on, which, to say the least, is tortuous.